Literacy Loot: Back to School Teacher Treasures PART 4! Hello, literacy lovers! September is almost here, but I’ve still found some back to school treasures that are perfect for the classroom! This succulent planter from TakeMeHomeAndAway is classy, understated and boasts a beautiful Chinese Proverb – “A Book is like a garden carried in the pocket”. A beautiful gift for teachers and librarians, this planter is only $22 and the wrapping it comes in is gorgeous. I love the little book stamp on the back, too! 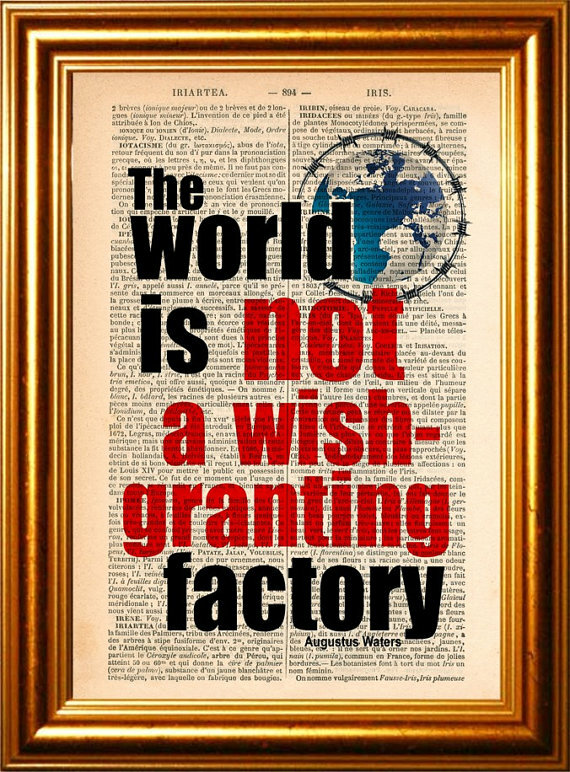 Attention all John Green fans! This upcycled vintage dictionary page with an Augustus Waters quote from The Fault in Our Stars is pretty awesome. Talk about a cool piece for a high school classroom. I have really been into all of the print-on-dictionary-pages art I have seen recently, and think this handmade item from ForgottenPages is a steal at $8.00. Another cool reading banner for the classroom – this time from inspirationalbanners and it is pretty adorable for $26.00. This shop also does custom orders, so you could make a special banner just for your readers! I LOVE literacy t-shirts and this is no exception. Teachers DO love librarians, and this $19.99 tee is pretty much perfect for casual Friday or anytime, really. Check out lovespace on Esty for more details and tons of other t-shirt options. I adore this $16 coffee mug that lists two very simple rules to live by. C Jayne Teach may be my new favorite online store for teacher gifts. Lots of cute notecards, pencils, notebooks, stamps and mugs. All lovely! I’ve had so much fun finding and sharing teacher treasures that I’m sure one or two will end up in future Literacy Loot posts. Be on the look out next week for a book scented candle, cool Harry Potter paraphernalia, and other great literacy loot for book lovers of all ages! Book Cover Coincidences? Wonder meets Morrissey. One of these things is not like the other. Or is it? 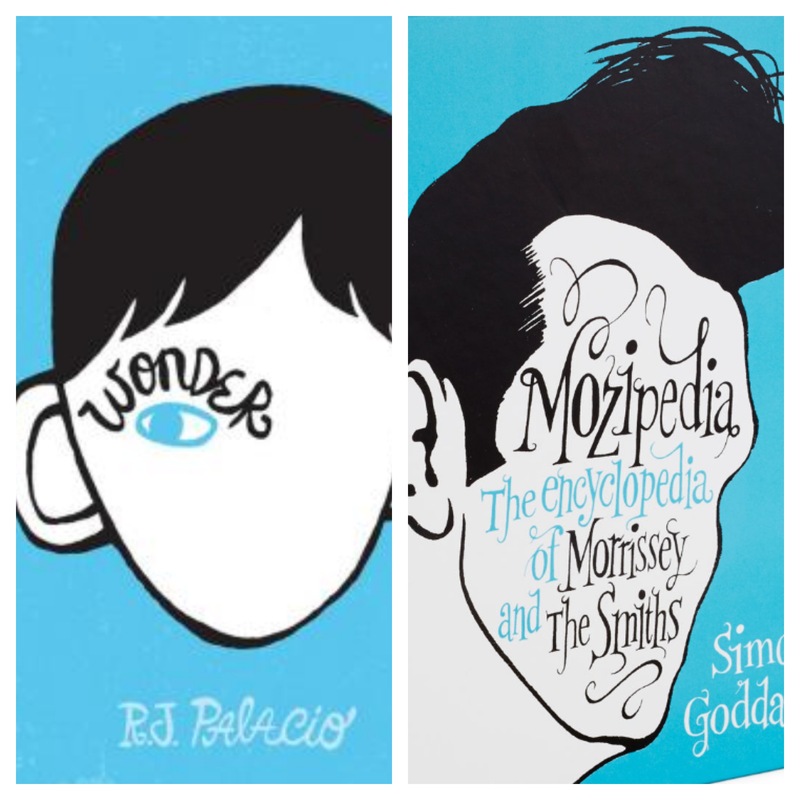 On the left is RJ Palacio’s 2012 best seller Wonder, a beloved middle grade title which has almost 2K reviews on Amazon. On the right, is Mozipedia: The encyclopedia of Morrissey and The Smiths by Simon Goddard, which was released in 2010 and has 14 reviews on Amazon. Out of the 83 books I have read in 2013, Counting by 7s is my favorite so far. I am in LOVE with this story. Willow Chance is a character that will stick with you long after you are finished with the last page. Her questions and quirks will fill your heart and her honesty and sincerity will make it full. I love that Willow spends her days working in her backyard garden, reading strictly factual information, and writing in her observation journals. These are not typical hobbies of a twelve year old and readers will quickly find out that Willow is different. Her amazing adoptive parents are very supportive of their genius daughter and try and help her navigate confusing things like what to wear to school and how to make friends. I think that kids will identify and sympathize with Willow. Throughout the course of the story, young readers will learn that different is ok. Different is cool. Willow Chance’s name is definitely a misnomer – her scientific way of looking at life leaves nothing to chance and she loves rules, logic and science. When the unthinkable happens, Willow is forced to realize that there are some things in life that have no explanation and are beyond our control. This book is fantastic to pair with others that have the “Choose Kind” message. I think it will make a great read aloud and lead to excellent classroom discussion about topics such as kindness, adoption, grieving, unique families, and friendship. I plan to read this book to my 6th grade classes after we finish Seedfolks by Paul Fleischman. These two books actually have a lot in common and will go great together. Readers of ALL ages will love Willow Chance and the cast of characters that impact her life in ways that she could never have predicted in one of her journals. If you’re looking for the next Wonder, you’ve found something even better in Counting By 7s. Literacy Loot is a weekly post that features cool and unique literacy items found online and in stores for the classroom, home and even to wear! 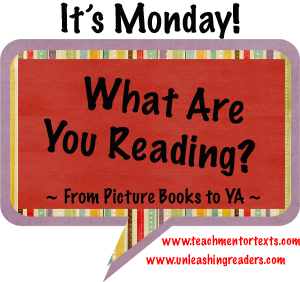 Hello, literacy lovers! During the month of August, I will feature treasure for all you savvy teachers with classrooms to fill with cool literacy loot. This week’s items are sure to make your classroom more functional and fun! Another personalized stamp bookplate for teachers! This one is a handle mount stamp and is for sale at Wilshire Graphic Press on Etsy.com for $30. I like fonts used on this one, too. I like the idea of having professional business cards to hand out at conferences and other events. I would definitely add my twitter handle too. These adorable teacher business cards from Studio Forty , Old Dirt Hill and Mallory Hope Design are bright and beautiful. $30 for 50 cards (top left), $44 for 100 (top right) and $32.50 for 50 (bottom). This shelf tree wall decal sticker from Smiley Walls would look great in a classroom, child’s room or nursery. You can add 4 shelves to the decal and have a sharp looking bookshelf. It’s price of $89 is a little luxurious, but I really like the idea of it, so I thought I would share this cool design idea. We all have favorite books. Books that were significant to us at a particular time in our lives. Books that we have read countless times and still treasure our dog eared copies that may be held together with staples, string and tape. 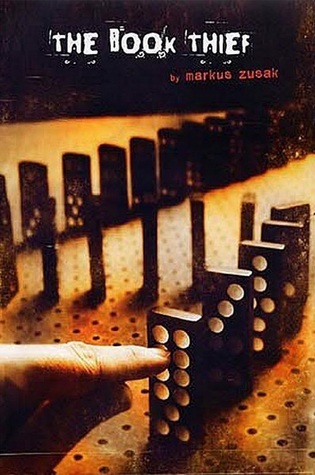 Without a doubt, my all time favorite book is The Book Thief by Markus Zusak. I listened to it on audiobook a few years ago and I think it honestly changed my reading life. Yep, for me this book was a GAME CHANGER. I was entranced by Death as a narrator and little Liesel Meminger’s story set in Nazi Germany, and it seemed like every book I had ever read up until that moment had just been a book. This was something different. A tale that resonated with me so much and I will never, ever forget that reading experience. The Book Thief is a strongly crafted story. A deeply rich tale of innocence, love, hatred and the power of words. I’ve been patiently following all of the movie buzz for this book and now that there is a trailer I am beyond excited. I cannot wait to see how Hollywood has adapted this heart breaking story. You can add this book to your TBR pile here and see the trailer here. Enjoy! Some good ideas to add excitement to your classroom, but not my favorite book. I loved Prodigy and thought it was a perfect sequel to Legend, but Counting By 7s was my favorite read of the week. It is SOOOO good! Look for a blog post soon and go ahead and preorder this book. You will not be sorry. I didn’t get to start The Dream Thieves last week, so I’m going to attempt to find the time for this one. I’m also intrigued by Skin, by Donna Jo Napoli, which is about a teenage girl who wakes up and starts to get white spots all over her body. Hello, literacy lovers! August is flying by, and I’m featuring even more treasure for all you savvy teachers with classrooms to fill with cool literacy loot. This week’s items are sure to make your classroom even more functional and fun! Last week’s featured personalized library stamp was very popular (check it out here: Back to School Teacher Treasures Week 1 ), so I have decided to feature one each week during the month of August. Listed at $24.95, this simple, self inking stamp is the perfect addition to any teacher’s classroom library. You can even choose your ink color – black, blue, red, green, or brown. The Stampin’ Place features multiple library stamp options. Can we just take a moment and look at these adorable classroom banners?! Wouldn’t they look great above a center or in a cozy reading or writing corner? Love them! They are listed at $17 and $15, and Gifts By Gaby has several more banners, like a personalized pencil teacher door sign, that you will probably want to check out. This stapler from Anthropologie is one cool office supply. Your fellow teachers are sure to have desk envy when they see this little guy, and you definitely won’t have trouble getting a volunteer to staple packets either. For $18, this stapler can be prominently displayed on your desk or even in a writing center. I can always count on Modcloth for having something quirky and fun for the home. They featured their Gourmet Grammarian Dish Set for $49.99 on Facebook yesterday, and this cool and functional conversation starting dinnerware is sure to impress your dinner guests.